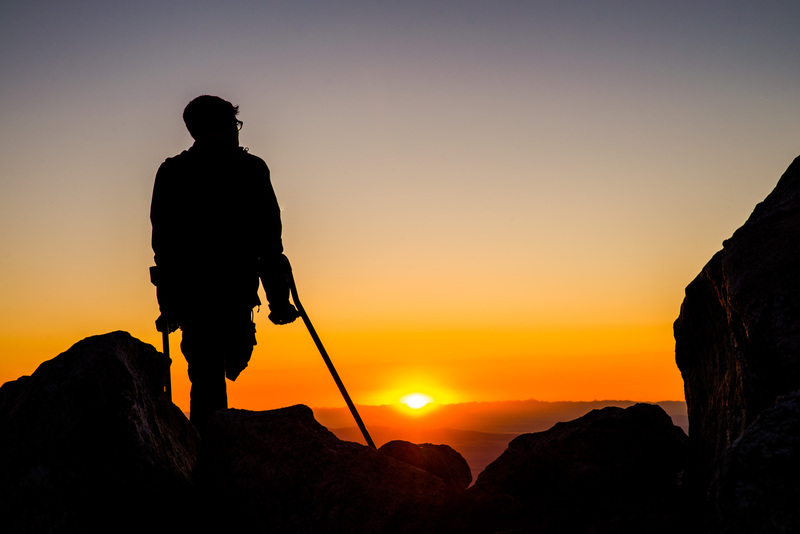 Meet Vasu Sojitra: a 25-year old Adaptive Advocate and Athlete who joined the Paradox Sports Ambassador Team in 2014 after our trip up the Grand Teton – he became the first known amputee to summit the Grand without a prosthetic. You might recognize him from recent films A Grand Pursuit, Out On A Limb, or his skateboarding video that went viral. Vasu lost his leg at 9 months of age to a blood infection known as Septicemia and now uses his “Ninja Sticks” (aka forearm crutches) to charge hard! 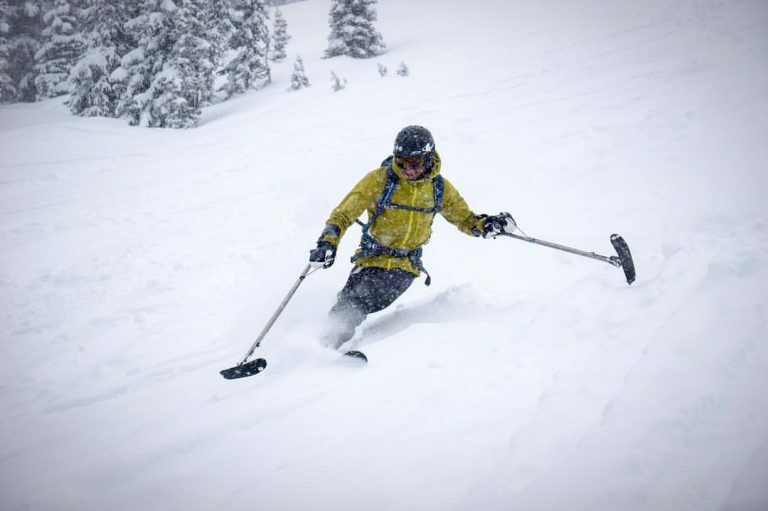 He grew up in Connecticut as a first generation American, lived in India for several years as a child and now calls Bozeman, Montana home, where he stays focused on his passions: backcountry skiing and helping other adaptive athletes find their potential. SS: How did you end up getting hooked up with Paradox Sports? SS: What was your favorite part of that trip? SS: What was the toughest part? SS: You’ve really established yourself in the ski scene. How did you originally get into skiing? 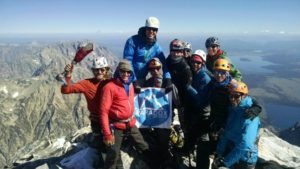 SS: So, did climbing the Grand Teton get you thinking about going back to ski it? 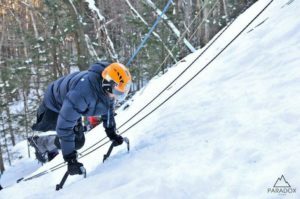 SS: Do you enjoy climbing for climbing, or do you see it more as a vehicle to get the goods for skiing? SS: Do you feel confident with your technical rope skills now for mountaineering? SS: Living in Bozeman, have you done any ice climbing in Hyalite Canyon? SS: Speaking of crutches, how often do you have to replace your “Ninja Sticks” and do you call your ski “the Saber”? 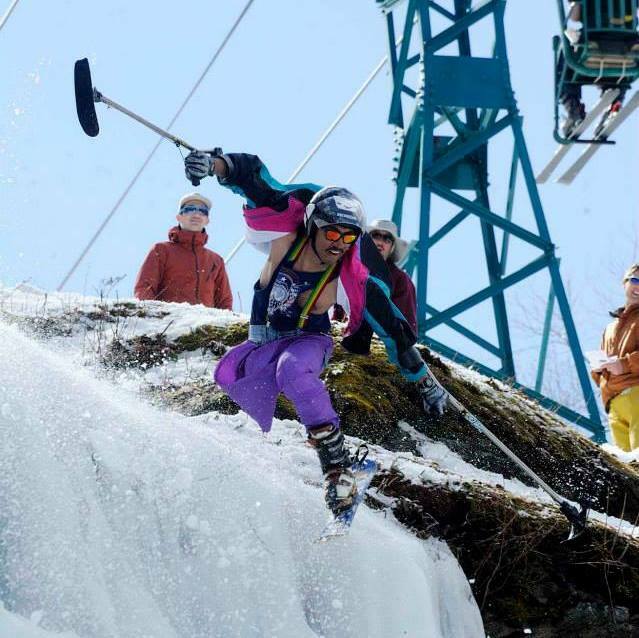 SS: Other than getting on the Grand [Teton] this spring, do you have any other big plans for skiing coming up? SS: Tell us a bit about your job and your role as Ambassador for Paradox Sports. “I am the Adaptive Sports Director for Eagle Mount Bozeman. This involves heading up our Bridger [Bowl] Ski Program in the winter for over 200 skier with disabilities and 300 volunteers that help out with those lessons. I also overlook our cross-country ski program, which has it’s own coordinator. In the summers I am in charge of our Adventure Day Camps Programs for over 100 campers with disabilities. Our day camps include anything from rafting, kayaking, fishing, hiking, and cycling. On top of this, I’m really pushing to grow our climbing program so we can start getting campers outside. We try to do it all with our campers. My work has definitely put me more on the map here. Eagle Mount is a very established organization in our community so having someone with a disability running some of their major programs has grown my influence within the full spectrum. SS: Do you have any tips or tricks you’d pass along to someone potentially looking to become an adaptive athlete?